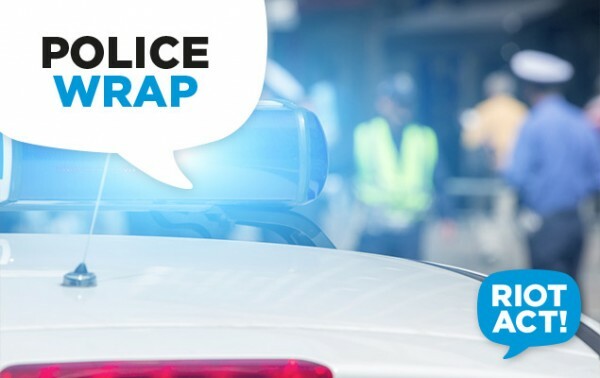 A 28-year-old man will face the ACT Magistrates Court today (13 October) on drug and weapons charges after he allegedly failed to stop for police on Friday night. Around 10 pm, police on patrol in Narrabundah attempted to stop a motorcycle on Jerrabomberra Avenue. The driver initially stopped before taking off along Goyder Street, before losing control and crashing into two rubbish bins. The rider was placed under arrest, and a search was conducted of the man and his vehicle. The man was found to be in possession of a trafficable quantity of a substance believed to be methylamphetamine, as well as other seizable items. The man will face 11 charges in the ACT Magistrates Court, including fail to stop, refuse to undergo screening test, drug drive, traffic in controlled substance other than cannabis, possess knife, and possess ammunition. Police are urging anyone who witnessed this incident, or who may have information that could assist police to contact Crime Stoppers on 1800 333 000, or via the Crime Stoppers ACT website. Please quote reference 6318928. Information can be provided anonymously.